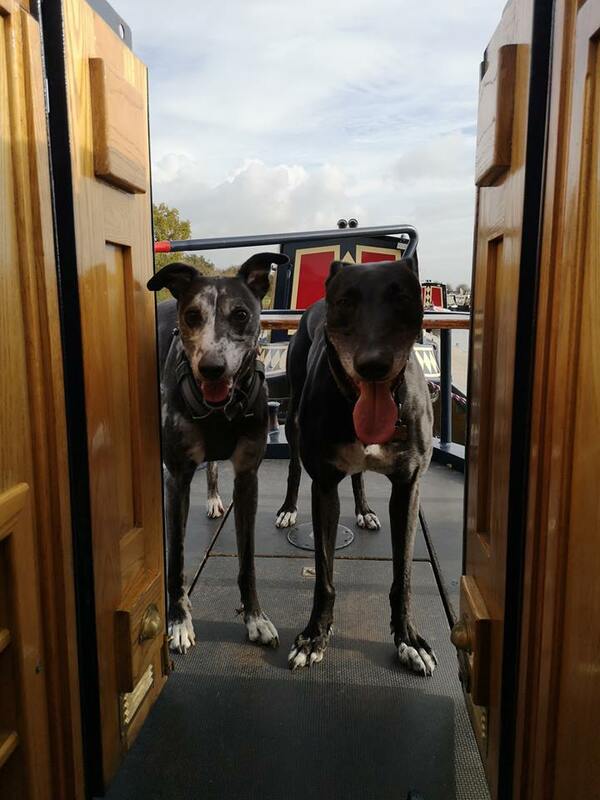 A fabulous narrowboat for a family holiday or extended cruising. Having two king size beds (the second of which lifts up during the day), two bathrooms a fully equipped kitchen, comfortable saloon and benefitting from gas central heating. 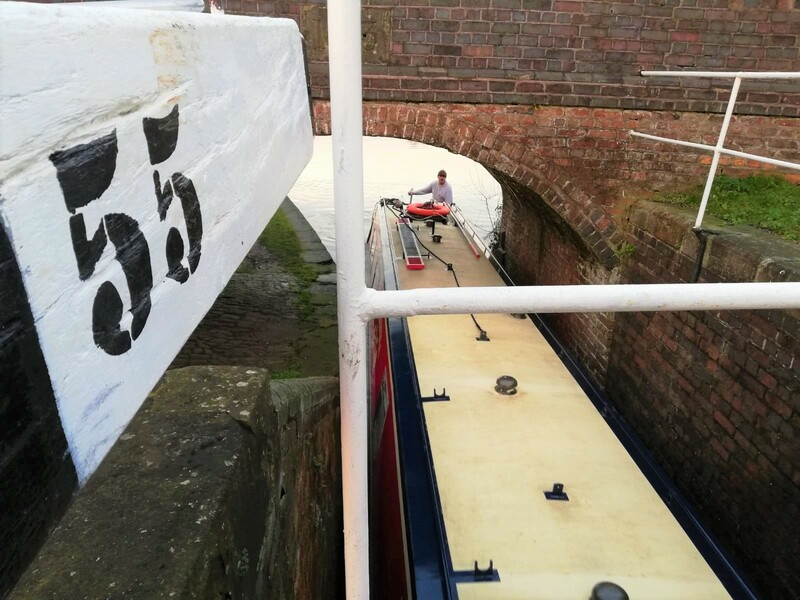 This is an excellent boat to explore the Cheshire Ring, Four Counties Ring, Caldon Canal or other longer cruising route as the additional crew you can accommodate come in very handy with all those locks and swing bridges! From the rear deck you enter the Saloon (lounge) which is open plan and continues to the Galley (kitchen) which is fully equipped with everything for your stay. Beyond down a short corridor is the Head (bathroom) which is large and spacious and has a shower as well as toilet and basin. 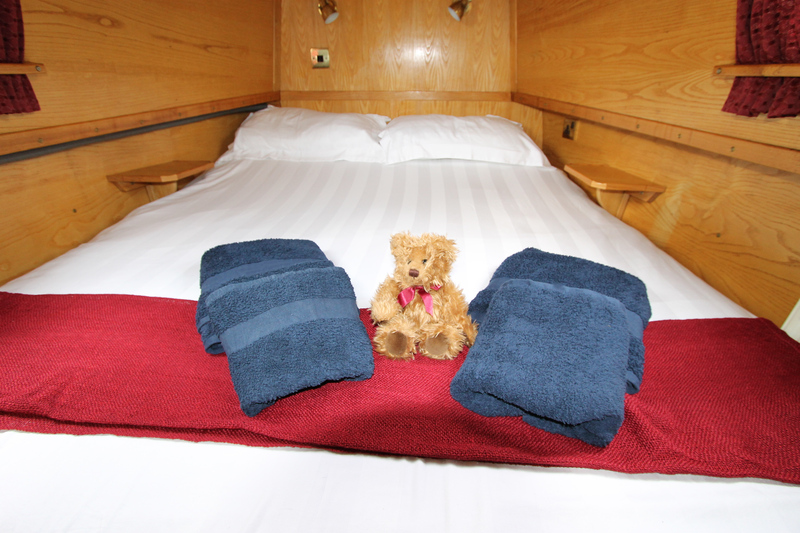 The front cabin of Casanova has a king size bed which is comfortable and spacious – a truly unique feature amongst narrowboats. We offer pet friendly holidays, they are part of the family after all. Feel free to bring your feline, canine or other pet along with you. You will encounter some obstacles such as locks and bridges along your route, don’t worry you will be fully prepared by us before leaving. Why not watch the boaters video to get a good idea ahead of time of how to handle a narrowboat? Comfy & roomy king size bed! A perfect boat for a romantic break, featuring a king size comfy bed & all linen and towels provided. Simple and hassle free. The canals are truly a wonder of engineering! Built some nearly 300 years ago without a JCB or hard hat in sight. A true testament to the men and women involed in its construction. See these wonders in person during your stay with us. Check to see if your preferred dates are available and prepare for a memorable holiday like no other!